Monet Leatherette 3 Seater Sofa is all you need for your relaxing day on Sunday. Weekends are day to rest by your very own Evok three seater sofa. This sofa is yellow and gives you fluffy feels to have a great family time and enjoy a quality and comfortable like with Monet Leatherette 3 Seater Sofa. Fully upholstered faux leather sofa has a kiln dried hardwood frame and S-Spring webbing in seat support area, which matches seamlessly with all kinds of room décor. Bring your family together for perfect dinner conversations or late movie nights with the Monet Leatherette 3 Seater Sofa. Available in a classic shade of beige, this sofa pairs easily with the colour, theme or setting of any living space. The sofa comfortably seats a party of three, and makes you feel truly comfortable, especially due to the choice of upholstery. 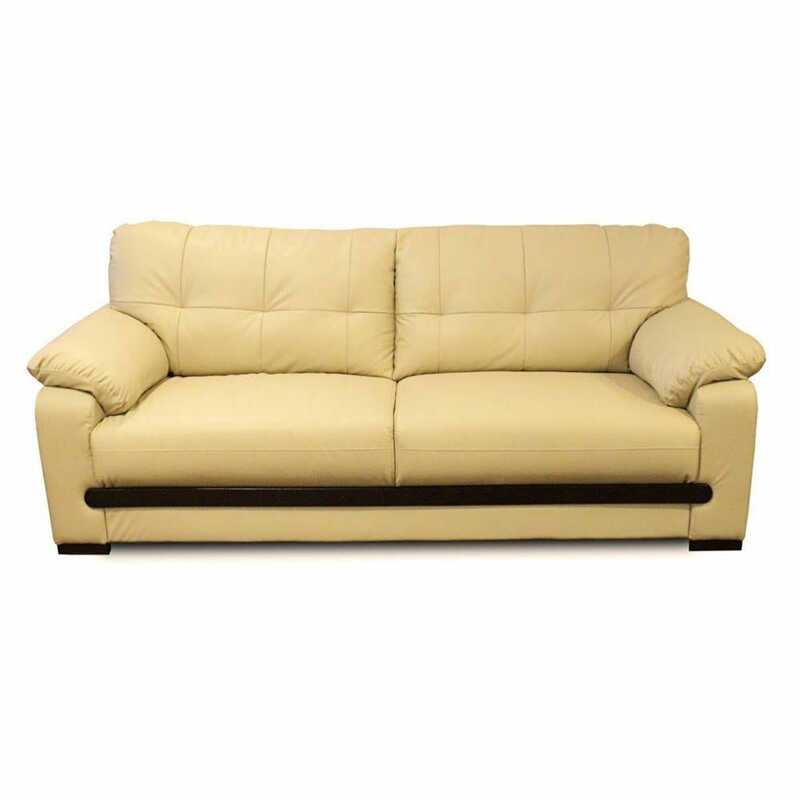 High quality faux leather has been used to fully upholster the sofa, making it rich and soft. The choice of upholstery also makes cleaning and maintenance a piece of cake. You can choose to buy this piece from our online furniture site, or visit any of our 25 furniture stores across India for the best deals in home furniture.